The Portfolio Committee was briefed by the Department of Agriculture, Forestry and Fisheries (DAFF) on its Annual Performance Plan (APP) for 2017/18. The DAFF had developed two documents in response to the issues raised by the Department of Performance Monitoring and Evaluation (DPME), as well by Members of the Committee. Adjustments and additions had been made, as the objectives now included reference to improved food security, the creation of jobs, and the percentage biomass increase in stock levels of abalone, West Coast rock lobster and hake. The Department reported that a draft national policy on comprehensive producer development support had been recommended to Cabinet for approval; 52 480 households had benefited from food production initiatives and 23 559 smallholder producers had been supported; 150 compulsory community service veterinarians had been deployed; 255 graduates had been placed for capacity development; and 14 agro-processing entrepreneurs had been trained. The total budget for the DAFF’s six programmes was R6.8 billion. Members said it was not right for both the Minister and the Director General to be absent when the APP and budget were being finalised. There was no finalisation of the policy on mechanisation. They wanted to see to see a visible programme that attended to the issues raised by Statistics South Africa on provinces that were food insecure. There was a need to put more resources into agriculture in order to address the challenges that existed. The Department should change its emphasis in order for smallholder farmers to grow. The Members questioned how the Department would achieve its objectives with a budget of R6.8 billion. Why had the Department of Rural Development and Land Reform not been invited to the DAFF’s stakeholders meeting? Were people trained before they undertook the jobs where provinces had underutilised land, and how many of the jobs created were sustainable? To what extent had the Department factored in the use of indigenous knowledge in food production? The Members also said nothing had been achieved in the fishing stocks recovery plan for the past eight years; there was no climate change adaptation plan; the document on the integrated agricultural development finance policy did not refer to what the Committee had wanted to achieve; they had never seen the Chief of Staff of the Department at any of the meetings; the issue of the transformation of the sector was not in the APP; and the Department had said 150 compulsory community service veterinarians had been deployed, but research indicated the figure should be only 120. The Committee said the Department had failed to bring issues on the Budgetary Review and Recommendations Report (BRRR) that were in line with the budget, and the meeting to deal with this aspect was postponed to enable the Department do so. Apologies were read from two Committee Members, as well as the Minister of Agriculture, Forestry and Fisheries, Mr Senzeni Zokwana, as well as the Director General (DG) of the Department, Mr Mike Mlengana. The Chairperson said it had been agreed with the DG that this was the last time he would be absent from Committee meetings. It was not right to have the Minister and the DG absent when the annual performance plan (APP) of the Department was being finalised. She had asked the Members to allow the Committee to proceed with this meeting without the Minister and the DG so that it could finalise its report before the budget vote. Mr N Paulsen (EFF) said it was unfortunate that at this vital meeting, both the Minister and the DG were absent. The Chairperson said that there were certain issues that the Department of Agriculture, Forestry and Fisheries (DAFF) were contesting. The Department had said the Department of Performance Monitoring and Evaluation (DPME) had used its old report. Before the APP was forwarded to the National Treasury, both the DPME and the National Treasury had been engaged to make their comments. The DAFF had said that all the issues raised by DPME had been incorporated into the report. The Chairperson said she would allow the Content Adviser to state the process that had been followed. The Content Adviser said it had been said in a meeting that the DAFF should take note of issues that had been raised by the Members with regard to the APP, as well as those addressed by the DPME. In the report that had been sent by the DAFF, the Department had responded to all the issues raised by Members and the DPME. Mr Mokutule Kgobokoe, Deputy Director General (DDG): Policy, Planning & Monitoring & Evaluation, DAFF, said that subsequent to the meeting where the DPME and the DAFF had made presentations on the DAFF’s APP, where issues were also raised by the MPs, the DAFF went back to review the issues raised by the Portfolio Committee, as well as the DPME. It had subsequently developed two documents which had been forwarded to the Committee, which had responded to issues raised by the DPME and said the issues raised by the DPME were actually based on earlier drafts of the APP. The Department had also pointed at specific pages where those issues had been incorporated. In this presentation, those issues were printed in red ink. He said the sector objectives included improved food and nutrition security, the creation of jobs and an increase in the contribution of processed products to manufacturing by 1%. A percentage biomass increase of stock levels in abalone, West Coast rock lobster and hake was also sought. A draft national policy on comprehensive producer development support was recommended to Cabinet for approval. In the area of food security and agrarian reform, 52 480 households were benefiting from food production initiatives and 23 559 smallholder producers were being supported. In alignment with Operation Phakisa, 150 compulsory community service veterinarians had been deployed, 255 graduates had been placed for capacity development, and 14 agro-processing entrepreneurs had been trained. 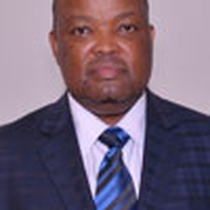 Mr Kgobokoe said a lot of adjustments had been made to the budget for Programme 1 (administration), which amounted to R902.5 m. Programme 2 (agricultural production, health and food safety) had a budget of R 2 197.2 m, while in programme 3 (food security and agrarian reform) 450 smallholder producers were being commercialised and the budget was R1 946.8 m. In Programme 4 (trade promotion and market access), 14 agro-processing entrepreneurs were being trained on processing norms and standards. It had a budget of R261.7 m. In Programme 5 (forestry and natural resources management), three legal entities would be established and a draft memorandum of understanding developed for two pilot sites, with a budget of R1 016.7 m. In programme 6 (fisheries), objections included the Aquaculture Development Bill being submitted to Cabinet and the allocation of rights in the abalone and West Coast rock lobster sector, and the budget for this programme was R482.2 m. The total budget for the six programmes was R6.8 billion. The Chairperson said that in Programme 3 (food security and agrarian reform), there were two important policies -- integrated support and integrated finance. There had been no finalisation of the policy on mechanisation, which did not appear in the programme. Secondly, when the DAFF had made a presentation on the provinces that were insecure in terms of food security, the number one province on that list had been North West (NW) followed by the Eastern Cape (EC), Mpumalanga (MP) and KwaZulu-Natal (KZN), in that order. The interventions did not show the Department had resolved those issues. The Committee wanted to see a visible programme that attended to the issues that had been raised by Statistics South Africa. The Committee wanted to see a synchronising of budgets as well as the integrated support. The road map should show activities that were related to the achievement of those targets. NW was pathetic -- half of the population were food insecure. In NW, the number of under-utilised hectares in communal areas was 11 770, but 1 505 households benefiting from food production initiatives. Did this have logic? At the last meeting, the Committee had requested for details of the equitable share for agriculture in the provinces so that it could see how they were funding agriculture as concurrent function. Mr N Paulsen (EFF) said one presentation slide showed the target for the number of small holder producers supported by 2019 was 300 000, while another indicated the number supported in 2017/18 was 23 599.Was that the target for this financial year? If that were the target again in 2018/19, there would be a shortfall of over.250 000 by 2019. There was need to put more into agriculture if the Department wanted to address those challenges. It was not just the issue of food insecurity, but unemployment as well. There was no visible programme showing a specialised unit of DAFF going to support households. There was an opportunity for the Department to make a massive impact. There should be massive agricultural schemes. There was no visible programme in the APP for an increase of stock levels in abalone, lobster and hake. The Committee needed to see that the Department was serious about changing its support for the multi-nationals and allow smallholder farmers to grow. The Department should change its emphasis. Big companies were more profit-driven and were not providing support for poor people. The DAFF was targeting job increases of 500 000 by 2019 and one million by 2030, yet it had not even achieved 10% in the medium term. There was a need to fight for a massive budget for it to achieve this. The DAFF should revisit its targets and make them to align with the budget, because the targets were too ambitious. Mr P Maloyi (ANC) questioned how the Department would achieve all of its objectives with a budget of R6.8 billion.The Members were representatives of the public and were there to ensure service delivery to the people. As a result, this was one area the Members should fight for despite political affiliations. In slide 33, the presentation was indicating the same target for veterinary strategy for both 2018/19 and 2019/20. Was this a typographical error? If not, why would the Department want to develop a veterinary strategy for each and every financial year? The performance indicator for the commercialisation of smallholder farmers was confusing -- was the DAFF talking about smallholders being commercialised or supported. The two should be separated. The black farmers needed to be commercialised. Was the DAFF commercialising or supporting those that were already commercialised? Regarding all of the indicators that had been brought forward to this financial year, was the Department just bringing them forward for the fun of it when it knew that there was no money for them? Mr M Filtane (UDM) said the DAFF had said it had invited stakeholders to a meeting. The Department of Rural Development and Land Reform (DRDLR) had not been invited, but the DAFF had acknowledged that the DRDLR was its partner. There had been a duplication of functions, and this was having its impact. At what stage did the DAFF work or not work with the DRDLR in order to align functions? Were people trained to undertake those functions or trained when they had undertaken the jobs shown on slide 9. Which provinces were those with under-utilised lands that were referred to in slide 13? How many of the jobs shown in slide 16 were sustainable. How long would it take for the respective employees to be kept there? Were the jobs temporary, permanent or semi-permanent? On slide 18, the DAFF referred to the deployment of150 compulsory community service veterinarians, but the Committee researchers had said the college in Pretoria produced only 120. Where would the DAFF be getting the remaining 30 from? The DAFF had not profiled the attendant risks that came with any of its operations. There were no climate change adaptations in the presentation, and South Africa had just come out of a weather season that had affected production. To what extent did the DAFF factor in the use of indigenous knowledge, and how to merge this with modern ways? A lot of people depended on the indigenous ways of producing food for them. If the ways of the DAFF left out these indigenous ways, that was not the kind of planning the Committee expected from a department which said there was no money. The Committee was not happy that the DAFF had ignored indigenous knowledge, despite having said it should be included. Mr P van Dalen (DA) referred to the DAFF’s recovery plans for abalone and West Coast rock lobster, and said there had been recovery plans for the past eight years, and nothing had been achieved. When would the Department be held accountable? The Committee would like to see these recovery plans implemented. The DAFF must think of the value it could add to coastal communities. It was a high value resource which near-shore communities could easily utilise. The DAFF had said it had lost its fight against abalone poaching -- it seemed nobody knew what they were doing, and this was frustrating. The Chairperson said there was no target on providing access to markets for small holder farmers. The DAFF had indicated it would oversee the implementers. The document submitted on integrated agricultural development finance policy did not talk to what the Committee wanted to achieve. She could not understand why the Committee kept saying the same thing every day, and it was not done. Mineral resources belonged to the national government, holding it on behalf of the people. The Committee was convinced that the policy was being delayed deliberately so that it did not work. The Committee had talked about integrated support for about two years, and nothing had been done. Forestry was a national competency and could not be changed by the officials. This was about the integration of all the departments that supported smallholder farmers, so that they could work together. The Members had the energy to fight if that was what the DAFF wanted, as the Committee could not talk about the same thing everyday. The Department was forced to work with the Committee until the Committee was redeployed. She asked who was heading food security. Mr Kgobokoe replied that Mr Manyama was on leave and rounding up. That section was now headed by Mr Bonga Msomi, who was Acting DDG. The Chairperson said Mr Msomi was also a culprit, because he was under Mr Manyama. Mr Kgobokoe said the input of the Portfolio Committee had enriched the Department in terms of the way it carried out its duties. The DAFF appreciated the input that flowed from the Committee. The mechanisation policy was a project that had been worked on by food security. Though it was not in the APP, the branch was working on it. The Committee should ask the DAFF to make a presentation on the work involved. The feedback from the Chairperson was a “spot on” in terms of aligning the intervention of the DAFF with the information obtained from Statistics SA. The Department had taken note of the figures in the APP which seemed not to be aligned to the information from Statistics SA. The Department would develop a comprehensive producer development support plan, but a lot of work had already been done in that respect, and Mr Msomi would provide details. Mr Msomi said there had been a consultation in January on the comprehensive producer development support plan, and there would be one in October as well as in November. The DAFF would submit a road map based on those consultations. On the issue of 23 559 small holder farmers supported, compared to the medium term strategic framework (MTSF) target of 300 000 by 2019, he said that the small figure was as a result of the financial constraints which had been alluded to. On food production initiatives to the households that were poor and food insecure, he replied that the interventions were the social grants. There were also two initiatives -- one was to support the smallholder farmers, and the other was the number of hectares. Mr Kgobokoe said the issue of the budget was a thorn in the flesh for everyone who was in the agricultural sector. On Mr Maloyi’s question as to why there was the same target under veterinary strategy implemented in 2018/19 as well as 2019/20, he replied that under 2019/2020, it should be ‘implemented’ and not ‘developed.’ He apologised for the mistake. Issues of climate change, which the Department had no control over. It was only the first point that the DAFF had control over, and this could be managed by the size of the fishing vessels used, as well as by closing off certain areas where fish were laying eggs so that their numbers could increase. The DAFF had concluded its research survey on lobsters. It had determined the total allowable catch and how it was distributed. In industrialised fishing, everything was mechanised so fewer jobs created. The rights for lobster catching were allocated in 2005, when no small scale fishery policy was implemented. A court case had been brought against the DAFF in 2007 by the equality court because it had not considered the small scale fishing communities in 2005 when allocating fishing rights. The equality court had ruled that the Department had looked only at the commercial side and disregarded the community. In 2016/17, there were two competing reports -- a commercial side and a small scale fishing policy -- that needed to be implemented. Abalone was a high value specie for the cooperatives. In allocating fishing rights, there had to be a balance between the sectors that were competing. On Mr Van Dalen’s question about the DAFF’s recovery plans for abalone and West Coast rock lobster , she replied that a recovery plan was a moving target and a combination of many things. In February 2016, there had been a massive decline in lobsters due to climate change (lack of oxygen). The recovery plan had not taken this into account. The recovery plan had been implemented by closing the season and regulating the fishing gear. The DAFF had not ignored the recovery plans -- they were being implemented. Abalone was high value specie and the DAFF should allocate more of it to the community. The level of poaching was high, and the country was losing revenue. Fishery Control Officers (FCOs) should not be civilians, but should be recruited from the police and the military, which dealt with law enforcement and criminals. As long as civilians and the people who did not know the job were put in charge, the Department would be going around in circles. Mr Kgobokoe responded on whether the DAFF had invited the DRDLR to a stakeholders’ meeting. He said the Department had invited the DRDLR to all its activities, but it had not been able to attend the planning session. Regarding the number of smallholder producers trained, he replied that they had been trained in soft skills and technical skills, as well as for the Expanded Public Works Programme (EPWP). On the disputed figure of 150 community service veterinarians, he replied that the Department would verify this and be sure that the right figure was put into the programme. The use of indigenous knowledge was a matter that the Department should take forward. The Agricultural Research Council (ARC) was at the forefront of making use of indigenous knowledge . Dr Moshibudi Rampedi, DDG: Forestry Resources and Natural Resources Management,(FNRM), added to the DG’s response on the duration of the jobs created through DAFF programmes, that the jobs were temporary jobs. She said some were contractual and some were seasonal. The Department followed the procurement process and a contract would be awarded to the successful service provider. The service provider would be responsible for employing the people. On climate change, she replied that the Department had a draft which could be shared with the Committee, if that was required. The first area addressed in the draft was the vulnerability, and what would be done in respect of adaptation and mitigation. The Chairperson said the figure for compulsory community service veterinarians deployed was 130, but it was reported to be 150. What was the correct figure? Mr Kgobokoe said the discrepancy had been noted, and the Department apologised for it. Mr Jacob Hlatshwayo, Chief Financial Officer (CFO): DAFF, added that in the previous year, the Department had wanted to employ 140 veterinarian graduates. As a result of financial constraints, the DAFF had employed about 120. His recollection was that it 130 instead of 150. The Chairperson said logically it should be 130. The figure should be verified, and the Committee should be informed in the next meeting. Mr Kgobokoe said the SA-Good Agricultural Practices (GAP) certification programme was not access to markets, but a step to position smallholder farmers towards accessing markets. Mr Hlatshwayo said that the comment by the Chairperson on integrated development finance had been noted. When these documents had been developed, the DAFF had gone to the National Treasury as well as the DRDLR, especially around the issue of funds that were within other departments such as the Department of Trade and Industry (DTI) and the Department of Social Development (DSD). There had been a conference to which other development financial institutions had been invited. There was a need to make a presentation on this particular document so that the Portfolio Committee could give guidance. One option was to leave things the way they were, which was not working. The other was the issue of joint action with either the Land Bank or the Development Bank of Africa. The DAFF could not look at development finance in isolation without other agricultural support. It would consolidate the two policies and make them one. Mr Kgobokoe said the DAFF would ask the Committee to invite it to report on the mechanisation policy. The Chairperson asked if the policy on mechanisation had been finalised. If it had not been finalised, why was it not one of the targets of the DAFF. Mr Kgobokoe replied that it was not yet finalised. The document had been developed, but it had to go through the approval stages within the DAFF. The Chairperson asked why it was not included in the APP. Mr Kgobokoe replied that it should have been included in the APP, but the line function had said it was in the operational plan of the branches, and not in the APP. The Chairperson said she was trying to avoid confusion when it met with the provinces. One of the weaknesses was that the Committee had never seen the Chief of Staff of the Department. If the Minister was not at the meeting with the Committee, the Chief of Staff should be here so that he would get to know what the Committee wanted to fast track. The issue of the transformation of the sector was also not in the APP. If there was a policy formulation framework for the Department, a lot of explanations from the DDGs could have been avoided. Mr Maloyi said he had not commented on the absence of the Minister and the DG earlier on in the meeting. If the budget was not passed, nothing could be done. That the Minister, as well as the DG, were not at this meeting was shocking. What did the both of them think about the budget and the APP? Mr Filtane added that at the same time last year, the Minister had chosen to be away. He was taking the Portfolio Committee for granted. The Chairperson must take it up. The Chairperson said the Committee would continue to pursue the Minister as well as the DG .The DAFF must prioritise Tuesdays, because they were the agricultural days. If the Committee respected the Ministry, the Committee expected the Ministry to respect it. This was something that the Committee had been saying for a very long time. The ARC was an institute of qualified researchers with doctorates. The Committee must be told what the DAFF had done to reverse the 51%increase in the CEO’s salary. Mr Kgobokoe replied that the matter the CEO’s salary increase was taken seriously by the Department. An investigation had been concluded and it had been found that the CEO had irregularly increased his salary. This had been reversed and the matter had been reviewed, with a recommendation that disciplinary action be taken. Mr Msomi said that regarding the integration of Ncera, the DAFF had concluded negotiations with the ARC. All the workers at the centre would be absorbed into the ARC, except for the CFO and CEO, who would be absorbed into the DAFF. The DAFF was on the verge of doing that at the moment. Mr Filtane said he was relieved to hear the progress report on the ARC. 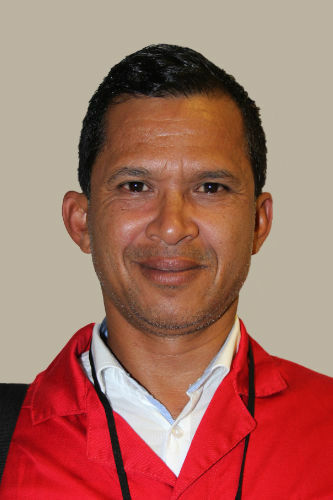 The Committee would appeal to the DAFF to do its best to finalise the matter. The DAFF had been asked to bring issues on the Budgetary Review and Recommendation Report (BRRR) that were in line with the budget, so that the budget could be concluded. The Department, however, had tabled issues on the BRRR regarding boreholes, forestry bills and climate change. The meeting was therefore postponed till Friday to enable the Department to bring the right issues for deliberations. 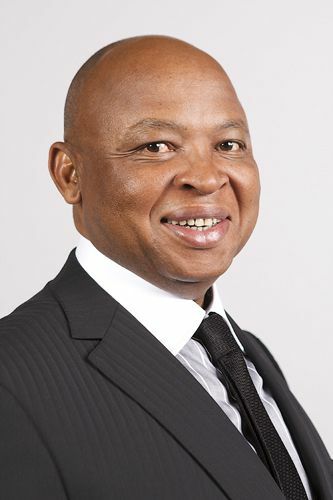 The Chairperson said that Mr A Madella (ANC) had been assigned to the Portfolio Committee as a new Member.